A speech recognition system that “writes out” medical notes, a tool to frame treatment programmes, for GPs’ patients, and a revamped PlunketLine are the three finalists in the Computerworld Excellence Awards Use of ICT in Health category, sponsored by Simpl. PowerScribe is a speech recognition system used by Canterbury District Health Board and clinicians within its radiology services department. Radiologist Sharyn MacDonald says radiologists giving CT-scan reports used to have to dictate them. These would then be transcribed by a typist. This would often take a day or more, but now the job can be done instantly thanks to the PowerScribe software. MacDonald says the software was bought from a vendor and then integrated with existing systems. Now that reports are available much more promptly hospital staff can provide better and faster healthcare to their patients using the most up-to-date information. MacDonald says at any one time there used to be up to 1,500 reports waiting to be typed up. This meant typists being paid for a lot of expensive overtime. PowerScribe costs nearly $200,000 to buy but is saving radiology services $120,000 a year. There are still a few typists, but there’s no longer the stress of recruiting and retaining a large pool. Another user, consultant radiologist Ian Cowan, says PowerScribe is based around Dragon Dictate, with the DHB’s version containing a specific dictionary of words that consultants use. It works by recognising and transcribing dictation as radiologists talk into microphones as if dictating to a tape recorder for later transcription. Once finished, the report appears on-screen immediately and can be amended as required. Some 90% of radiologists and trainees now use it and it has replaced the bulk of the typing pool. “We believe PowerScribe has a significant impact on patient care, by decreasing the time it takes for a patient to be diagnosed. This leads to improved patient flow through the hospital,” says Cowan. Dr Cowan says such technology is widespread in the US, but this is a major first in New Zealand. 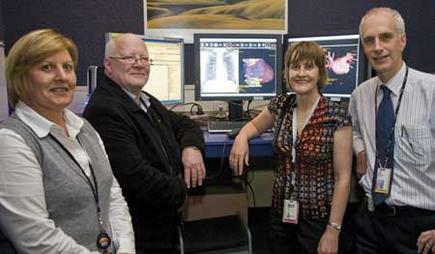 Its success stems from cooperation between vendors Nuance and the developers and vendors of the DHB’s Radiology Information System. There were some initial fears that the system might lead to radiologists spending time proof-reading and correcting their own reports, but as they became more experienced such delays became less of an issue. Instead, it has scotched the problem of finding, and retaining, medical typists, and delays from the typing pool, which had led to salary cost blowouts and/or delays in getting reports, says Dr Cowan. Continuous CareOnline, developed by ProCare Health Ltd, is a “best practice” online solution for GPs. When a GP or nurse sees a patient, the system, using a remote webfarm server presented using a browser, can access advice on best practice treatments. The system also handles patient details on one form, so a GP doesn’t have to switch from one system to another when someone suffers from multiple ailments. Paul Roseman, ProCare’s manager, design and development, says the system can also recall patients for appointments and, by knowing their past details, can work out whether the doctor will be paid for seeing them. It also helps pre-validate insurance claims. Roseman says Continuous Care Online is delivering more consistent healthcare, as well as administration savings, in particular fewer failed insurance claims. Dr John Cameron of Auckland’s Westmere Health Centre, says treating patients used to involve a raft of treatment options, which resulted in a fragmented service. There was further confusion at the coalface itself, as GPs didn’t know if their invoices would “bounce”. By taking medical data, from separate silos, and bringing the data together, GPs can now see patients’ medical records and other medical data instantly, which means they can provide better, more consistent treatment. Not having to jump from one system to another also saves GPs’ time, so they can spend more time actually delivering healthcare. Keren Nelson, a nurse at Remuera Doctors, says Continuous Care Online is fantastic and also user-friendly. She has seen many tools over her 22-year-career and says this is the best. Its interactive nature allows patients to see what information is kept about them and receive a print-out of instructions and goals to follow. Now, Nelson can see a patient every 15-20 minutes and not rush appointments. Continuous Care Online allows better use of staff time and means they can see more patients in an hour than before. Two years ago, PlunketLine was leasing call centre seats, but users were suffering long wait-times and many calls were abandoned as a result. Plunket had also controversially lost its government contract for the telephone counselling service to a rival provider. This led to Plunket bringing its service in-house, where an Avaya telephony solution was fitted with Agile CCE and CMS software and related applications. The new system allows queue prioritisation, when there is excess demand; and better reporting functions allow for better staff planning. Now, Plunket claims, 93% of its users are happy with the service; there is little waiting time and few calls are abandoned. 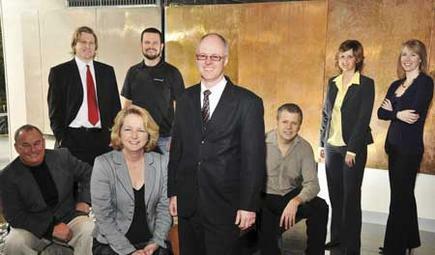 The new in-house IT team is also more committed and so provide Plunket staff with a better service.